The Centre for Environmental and Climate Research at Lund University in Sweden is offering a 1-year research position in ecotoxicology. This entry was posted in Thesis/Job opportunities and tagged ecotoxicology, field, laboratory, pesticides, sublethal, toxicity on September 14, 2018 by Ve. In this post, we would like to draw your attention to six sessions that we are (co-)organising for the upcoming SETAC Europe 28th Annual Meeting in Rome from 13-17 May 2018. This entry was posted in Workshop/Meeting/Summer School and tagged fungicide, laboratory, multiple stress, risk assessment, salt, SETAC, wastewater on November 7, 2017 by JPZ. 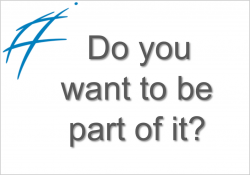 Eurofins Agroscience Services EcoChem GmbH is looking for a scientist to perform ecotoxicological laboratory studies with non-target arthropods and soil organisms for the registration of plant protection products at their site in Niefern-Öschelbronn, Germany. This entry was posted in Thesis/Job opportunities and tagged arthropods, ecotoxicology, laboratory on October 18, 2017 by Ve. 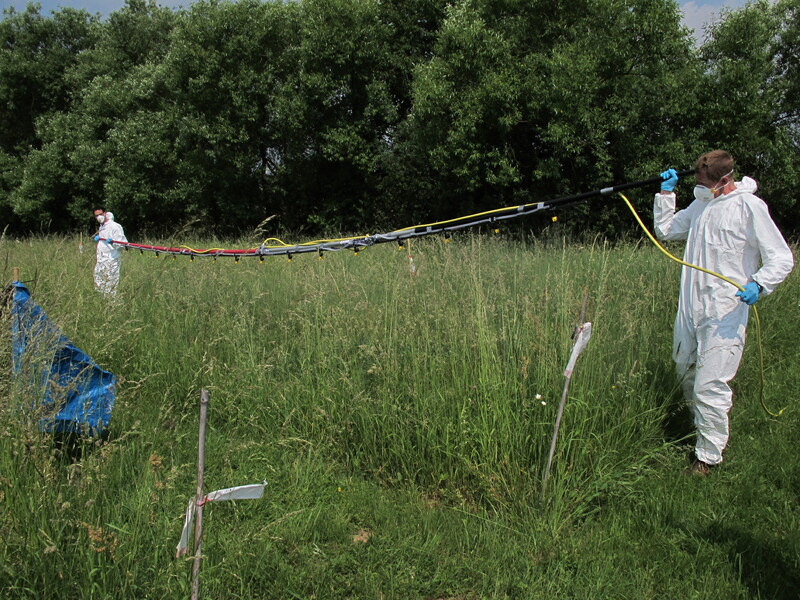 In this new series of posts we present you some of the equipment and facilities we use to assess the fate and environmental impacts of chemical stressors. This time Sandra Kurtz, Dr.-Ing. George, and Prof. Dr. Schaumann present the Laboratory floodplain mesocosm system. 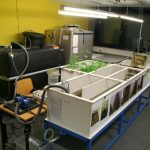 This entry was posted in Research and tagged floodplain, laboratory, mesocosm on November 25, 2016 by JPZ. 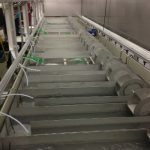 In this new series of posts we present you some of the equipment and facilities we use to assess the fate and environmental impacts of chemical stressors. We start with the Landau Laboratory Stream Microcosm Facility. This entry was posted in Research and tagged laboratory, microcosm, stream on October 31, 2016 by JPZ. All good things come in threes. 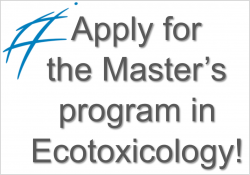 Besides terrestrial and aquatic ecotoxicology, human toxicology also plays a role in the master’s program Ecotoxicology. The toxicology and pharmacology lab course covers three relevant principles of human toxicology. It provides both theoretical background and hands-on experience – featuring coffee drinkers, liver and mutagenicity detectives. 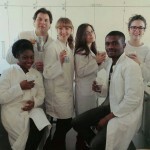 This entry was posted in Masters program and tagged human toxicology, laboratory, student blogger on July 23, 2015 by Ve.